Kazuko Shiraishi is one of the foremost internationally acclaimed modern Japanese poets. She was born in Vancouver, Canada in 1931. She moved to Tokyo with her parents in 1938 just prior to the war. At the age of seventeen she belonged to the avant garde poetry group VOU. Her first book of poetry, Falling Egg City appeared from the post war devastation in 1951. Stimulated by Joan Miro, Salvador Dali and John Coltrane, Shiraishi found a way to create bizarre and surrealistic abstraction in her poetry. Later she began a search for her own territory of poetry in the chaotic madness of postwar Tokyo. In 1973 Shiraishi was invited by Paul Engle to spend a year as a guest writer at the International Writing Program at the University of Iowa. This was a turning point in her life, which broadened her horizons and gave her a new sense of the world. She has published more than thirty books of poetry, and received every major Japanese poetry awards and the honor of a Purple Ribbon Medal from the Emperor of Japan. Furthermore, she had the exceptional honors of receiving the prestigious Yomiuri Literary Prize twice. Having been invited to International Poetry Conferences and Festivals, it has been her odyssey that carried her to over thirty different countries. Her poetry has been translated into more than twenty languages. 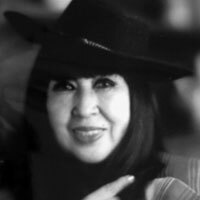 Kazuko Shiraishi received the Sumerebo Golden Key Award for International Poetry in 2010. On June 15, 2014 at the Japan Poetry Festival, she was given the Pioneer Prize in Modern Poetry by the Japan Modern Poetry Association. New Directions has published three collections of her translated poems, Seasons of Sacred Lust (1978), Let Those Who Appear (2002), and My Floating Mother, City (2009). Her fourth book, Sea, Land, Shadow is scheduled to be published in 2016 by New Directions. Yumiko Tsumura was born and educated in Japan, and earned an MFA in poetry and translations from the University of Iowa Writers workshop, as well as an M.A. in literature from Kwansei Gakuin University. She has taught at universities in Japan and the U.S. Her poems have appeared in major poetry journals in the U.S. and Japan, such as Manoa, Wisconsin Review, Eastlit, Kyoto Journal and Poetry Kanto. Her books of poetry translations include Kazuko Shiraishi’s Let Those Who Appear (2002) and My Floating Mother, City (2009) by New Directions and Tamura Ryuichi Poems 1946 -1998 (2000) by CCC Books. In 2016 her translation of Shiraishi’s Sea, Land, Shadow – poems 1951 – 2015 is scheduled to be published by New Directions.